It’s no secret that apps are the thing of the future. 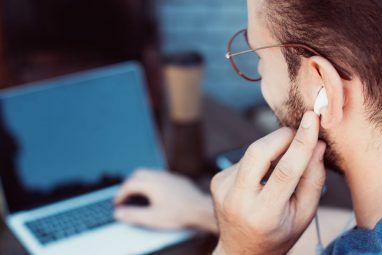 In many cases, they give our phones enhanced functionality that you wouldn’t otherwise get from them, depending on the phone you have of course. Last month, for instance, I gave you 3 Fun & Simple Phone Apps That Will Change The Way You Text Message 3 Fun & Simple Phone Apps That Will Change the Way You Text Message 3 Fun & Simple Phone Apps That Will Change the Way You Text Message Read More . Those apps took a universal thing – text messaging – and transformed how we do that with our phones. This month I’m giving your phone free push-to-talk phone service with HeyTell. Push-to-talk, or PTT, is a way of communicating via a 2-way radio of sorts, and it provides a form of instant communication between yourself and the person you’re calling. 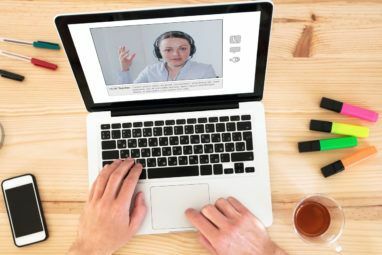 In this article, I’ll explain the concept of PPT further, as well as show you what you can do with HeyTell. HeyTell is a cross-platform voice messenger that allows you to instantly talk with and locate friends and family. No account needed – just start the app, choose a contact, and push the button to start talking! Voice messages are said to be quicker than SMS and have very low data usage (no more than sending an email). As stated, the app is free to use and you can use it on 3G, EDGE, and WiFi connections. HeyTell is very easy to use. You just fire up the app, select the person you want to leave a message for from your contacts, and press the Hold and Speak button to begin recording your message. While you’re doing this, you’ll be able to see the person’s location using the GPS function. Messages can be listened to from your inbox at any time. Push notifications are enabled to alert you whenever a voice message is received. If you ever get an “Inbox Full” message, this just means your friend has to listen or reply to the messages you’ve already sent before you can continue to send them more. At 16 kHz, HeyTell delivers messages with twice the frequency range of a cell phone call. It supports earpiece and speakerphone functionality, as well as microphone for the iPhone/iTouch. With the app, you can also favorite and export messages you like to email or Facebook. Whenever I write a story about communication apps I get questions regarding privacy. With HeyTell, you can choose from three different privacy levels to control how users can contact you. To connect with other users without invites, use Low privacy. Medium and High require you to accept an invite before connecting with others. Contacts can be quickly blocked, also. If you elect to, you can share your location with selected contacts while you talk. In order to do this, you must have the Maps page open when sending a HeyTell message. To protect your privacy, your location will not be sent out unless you approve and have that page open. 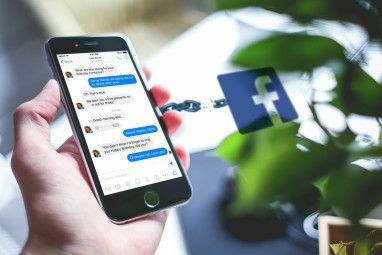 You don’t need to share personal information to connect with HeyTell contacts either, so you can connect without sharing phone numbers or email addresses. Enough privacy for you? You can also save conversations and replay them offline, or delete them on-demand (there’s a Delete button when you swipe the conversation left or right). Furthermore, all data and audio you transmit through HeyTell to your friends is encrypted in transit. Where Can I Get HeyTell? If you own an iOS device, HeyTell is compatible with the iPhone, iPod Touch (2nd, 3rd, and 4th generation), and iPad. It requires iOS 3.0 or later, though. You can get a hold of this app on iTunes. If you’re an Android user, you can find the app on Android Zoom, or just use a bar scanning app to scan the image below. There you have it, push-to-talk for your iPhone or Android device. Finally my phone has the capabilities of those old school Sprint phones, which admittedly I always wanted but never went for, because the push-to-talk was the only attractive feature. You won’t have to worry about that with today’s smartphones. 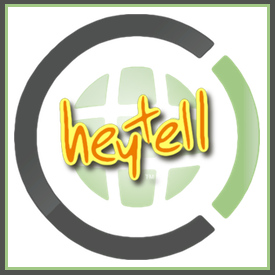 HeyTell can be used as a walkie talkie, intercom, or instant voice messaging system to send quick messages to friends and family with iPhones, iPods, or Droids. There’s definitely a lot of functionality to be had using this application. What’s your favorite phone app that enhances the functionality of your device? I can't bring up my contacts to invite therm. I don't have text messing.what can I do! IT looks like my favorite whatsapp app to Send voice mail to my contacts. That's my fav. Nice, I'll have to check that one out too! Heytell is not true PTT. It is just doing voice note record-n-send. Very slow and hard to conduct a conversation with it. I like TiKL much better. It is true real-time PTT and has group PTT for free. I was kind of bummed about that too, Ulsa. It worked pretty fast for me at least, so I was still impressed. I'll have to check out TiKL. TiKl is pretty neat as well but this offers way more functionality. THanks! Why cannot download from Android Market?? ?? Not sure :( It's definitely there. I love text messaging because sometimes... I just don't want to talk to you!!! I really like this app because it is quicker, I don't have to worry about trying to type out a text on my qwerty board that is too small anyway... I can just say what I need to say... send it to you... and I still don't have to talk to you. I say great App and worthy of download. Thanks! I was amazed at how fast the people I sent messages to with this app got them. Pretty cool.